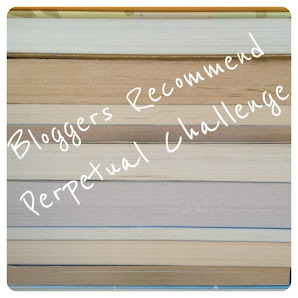 The Bloggers Recommend Perpetual Challenge – my books. my life. Since I got such positive feedback from my earlier post, I’ve decided to make this challenge a bit more official. It will be a perpetual challenge and pretty relaxed, but I will post at least once a month so we can check in, share reviews, and see how everyone is doing. (2) Subscribe to the Bloggers Recommend Newsletter. (3) Once you receive a Newsletter, pick which book(s) you want to read as part of the challenge. (6) Repeat steps (2)-(4) the following month! That’s it. I am starting this challenge to make the Bloggers Recommend Newsletter less overwhelming and even more awesome. You can decide how many books you want to read each month – there are no specific challenge levels. If you want to read one book one month and five the next, great. If you want to take a month off, no problem. This is a no-pressure challenge. Really. And, if you need an extra incentive to sign up, three lucky participants who sign up by August 30, 2013 will win a copy of The Goldfinch by Donna Tartt. Each participant will be given one entry and I will choose three winners using random.org. Many thanks to Bloggers Recommend for this giveaway. There will likely be more giveaways in the future, so sign up and keep checking back! The challenge will officially start with the September newsletter, so look for the linky to be up after the next newsletter goes out. Happy Reading! *I am reserving the right to change the rules as we go if I see a need. I’m not usually a challenge hostess, so I’m just making it up as I go. **We’re all pressed for time. and I unnderstand that you may end up reading a September book in October (particularly if it comes out in late September). You can link up any reviews you write that month, even if the book is from a prior month’s newsletter. I don’t have a blog to link to but I want to join this challenge. Can I just comment on your monthly post which I read and what I thought? YAY! I had unofficially started with NIGHT FILM (by Marisha Pessl) but I’m looking forward to the September recommendations and official start! no need to count me for this giveaway, as I already won that book at another giveaway! Looking forward to the recommendations! Michelle, can we to use the button above for our sidebar and posts to show off the challenge? Pingback: A Little Reading Challenge | my books. my life. Sorry, maybe it is just me but I am not seeing the sign up. Under the sign up heading, it says there is a form is not available. Help! You are right. It’s fixed now. (I updated WP but forgot to update JetPack so it was down for a few days – thanks for bringing it to my attention). I’m late to the party, but looking forward to the challenge.